If you’re a Canadian snowbird who owns U.S. real estate “free and clear” and you’re looking to access capital, getting a mortgage or home equity line of credit (HELOC) on your U.S. vacation property (commonly referred to as refinancing) may be the ideal solution. A growing number of Canadian snowbirds who own vacation homes in the U.S. are doing just that, according to Alain Forget, Head of Sales and Business Development at RBC Bank in the U.S. According to the National Realtor Association, Canadians have purchased over $90 Billion USD of U.S. real estate since 2010, with approximately $73 Billion owned “debt free”. Forget says that many Canadians are under the false impression that they cannot get financing in the U.S. because they are Canadian, which simply is not true. Why are Canadians refinancing their U.S. vacation homes? The strong U.S. dollar vs. the weak Canadian dollar: Many Canadians bought their U.S. vacation homes when the dollar was at, or near, par – exchanging Canadian dollars for U.S. dollars at a favourable exchange rate to make their purchases. In this situation, your asset has grown in value simply due to the exchange rate as the U.S. dollar has strengthened. For example, let’s say you originally purchase your U.S. property by exchanging Canadian dollars for U.S. dollars near par. With the Canadian dollar currently hovering around 75 cents U.S., you’d get around $1.30 CAD for every U.S. dollar you convert back to Canadian. Alternatively, you could use the U.S. funds you access from your vacation property to support your snowbird lifestyle in the United States, allowing you to avoid having to convert Canadian dollars to U.S. dollars at an unfavourable exchange rate. Increased property value: If you bought your U.S. vacation home after the U.S. real estate crash of 2008, the value and equity in your property has probably increased significantly - likely in the range of 3% to 6% annually. That increase in equity can now be accessed through refinancing and put to good use elsewhere. Bringing the funds back to Canada: Many snowbirds convert the funds back to Canadian dollars to take advantage of the favourable exchange rate, using the money in a variety of ways including covering their expenses, paying down other debt or helping to pay for their grandkids education. Investing: Many younger snowbirds are still building their retirement investment portfolios. For individuals who fall into this category, the money can be used to buy investments in Canadian or U.S. dollars that are likely to provide a greater return than the cost of refinancing. And if you’re using the money for this purpose, you may even be able to write off the interest you are paying for your refinancing, but be sure to check with your accountant first! Paying for your Snowbird lifestyle in the U.S.: Another popular option for Canadians is to use the money for U.S. expenses that support their snowbird lifestyle – i.e. renovations or big ticket repairs on your vacation home, or simply covering your living expenses while in the U.S.
Accessing U.S. dollars through refinancing to cover these expenses can be far more advantageous than having to convert Canadian dollars at an unfavourable exchange rate. Before you consider refinancing your U.S. property, it’s important to know all the facts and understand what’s involved in securing a mortgage or a HELOC in the U.S.
Is your U.S. vacation property debt free? Is your U.S. vacation property worth over $100,000? Do you have other uses for the equity you have built up in your U.S. vacation property? 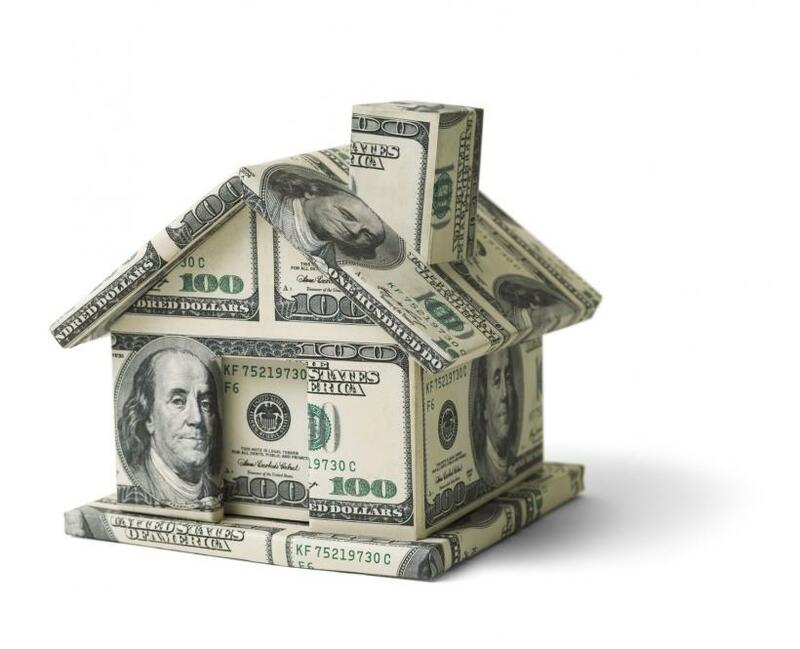 Do you have sufficient cash flow to make interest or mortgage payment every month? If you have any doubt, this is not for you. If you decide that you’re interested in refinancing your U.S. real estate, the next step is determining which financing vehicle is right for you - a HELOC or a Mortgage. As a general rule, HELOCs are more popular among Canadian snowbirds, as they provide greater flexibility. However, mortgages can be preferable in some situations, as the offer more certainty. It’s also worthwhile noting that you don’t have to pay taxes on funds accessed through a mortgage or HELOC. This is an important distinction if you’re weighing refinancing vs. selling an asset (i.e. your U.S. property or other investments) to access capital, as the latter will likely require you to pay taxes. While it can be a smart move to free up the equity in your U.S. vacation home, you should speak with your accountant, financial advisor and/or tax advisor to understand the ins and outs and determine if refinancing is the right decision for you. The application process in the U.S. takes about 45 days for a mortgage or a HELOC. However, you can get a pre-qualification letter within 3-5 days if you need one. Interest rates are higher in the U.S. than in Canada, with prime sitting at 4% in early 2017 and mortgage rates at between 3.75% to 4.25% for 3, 5 or 7 year terms for a 30 year amortization. HELOC rates are variable, but are usually available at prime plus .50% to .75%. However, these rates can vary depending on your credit score and other factors. It’s also important to know that for both forms of refinancing, there are additional closing costs in the U.S. from third parties that we don’t have in Canada, such as taxes and fees. For a mortgage, closing costs in the U.S. total about 3% of the amount borrowed. HELOC closing costs in the U.S. are slightly cheaper at around 2% of the amount of the line. Learn more about how Canadians can access mortgages for U.S. real estate.